Valdobbiadene Prosecco Superiore is a wine which is literally “hand made”: only by careful, exhausting, daily manual labour is it possible to cultivate vineyards on these steep hills. For this reason the viticulture and the Prosecco are defined “heroic”. Heroic is the work in this context of production which has always priviledged the smaller family dimension, and which over the centuries has modified the landscape rendering it unique obtaining a wine capable of conquering the world. Andreola wanted to make this aspect one of his strong points, by becoming the first producer to enrol as a member of Cervim in 2010 (centre for research, study and promotion of mountain viticulture) and by supporting and promoting mountain viticulture in every press statement by the estate. 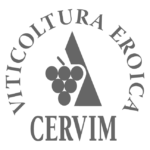 Cervim is an international organisation created in 1987 with the specific aim to promote and safeguard the “heroic” viticulture, defining the criteria which identify it, amongst which are terrain with slopes superior to 30% and systems of viticulture on terraces and steps. In order to create a specific identity, Cervim has elaborated, created and registered at European level a collective trademark of participation denominated “Heroic Viticulture” which identifies the wines comprised in this definition.